Sometimes, we get the question, who are the students at Northgate Academy? The truth is that we serve a very diverse population of high school aged and adult learners. 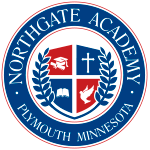 For whatever reason a student cannot attend a traditional high school, or for those adult learners that need to earn a high school diploma online, Northgate Academy is the place to help students achieve their academic goals. We have students residing in all 50-States and students enrolled in many countries around the world. Students that cannot attend a traditional high school due to being homebound or students who have been bullied in school find that online learning is a great option. Some students are accelerated learners and are pursing early graduation opportunities, while others are getting caught up on credits. Other students are military families or are American expats with families doing business overseas. Some students are supplementing their homeschool curriculum, and others are taking summer school or enrichment courses. We have missionary families, professional athletes, expat families and students in need of a flexible, recognized, American high school diploma attending online courses though Northgate Academy. For whatever reason students require an online high school option, Northgate Academy is able to accommodate your needs with a curriculum designed to keep you excited and motivated about learning. High school students often find it very refreshing that they no longer have to succumb to social pressures while attending high school online. Students at Northgate Academy love the freedom and enjoy learning independently while getting support from well-qualified, caring, State certified instructors. Adult learners find that attending high school online is both convenient and rewarding. Let’s face it, when you are over the age of eighteen, sitting in a high school classroom or night school is not always enjoyable. Students at Northgate are able to complete their high school studies from home, online, and are never required to attend a traditional classroom. Online courses are Northgate Academy are completed 100% online. Northgate Academy students come from all walks of life and from different social and economic backgrounds. We are passionate about meeting our students wherever they are. One thing we know for sure about Northgate Academy students is they all have a desire to learn and to better their life through completing a rigorous, Christian-based high school diploma program. If you are wondering if Northgate Academy is the right school for you, the answer is YES! Contact us today at 800-339-7132 for more information or Enroll Now.